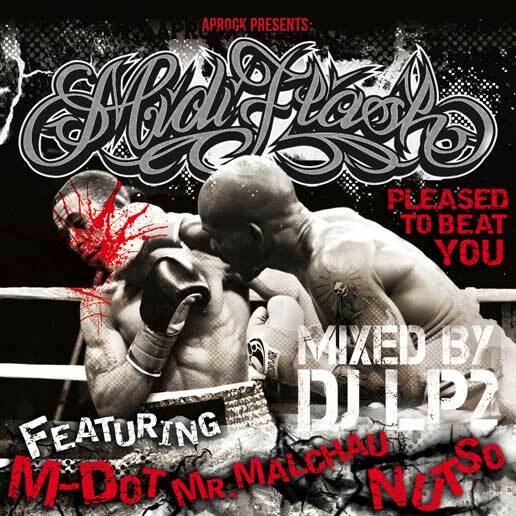 Mass Hip Hop: MP3 Single: M-Dot, Mr. Malchau, Nutso "You Aint Ready"
MP3 Single: M-Dot, Mr. Malchau, Nutso "You Aint Ready"
Munich Production team Midiflash drop their 2nd single off Pleased to Beat You. The high energy track has vocals provided by M-Dot (Boston), Mr. Malchau (Denmark) & Nutso (Queens). DJ LP2 brings the scratches.